GVG Brooks Equine Veterinary Practice is committed to protecting the privacy and security of your personal information. GVG Brooks Equine is a “data controller”. This means that we are responsible for deciding how we hold and use personal information about you. We are required under data protection legislation to notify you of the information contained in this privacy notice. This policy applies to our clients, our suppliers, our website users and other third party processors. This policy does not form part of any contract of employment or other contract to provide services. We may update this policy at any time. We collect personal information about our clients, website users and suppliers, by completing registration forms and supplier enquiry forms, via telephone or face-to-face enquiries or through our website. We may sometimes collect additional information, from third parties including clients, suppliers, veterinary surgeons and other referees or in order to perform background checks, throughout the registration process and when providing veterinary services. 3. Where it is necessary for our legitimate interests (or those of a third party) and your interests and fundamental rights do not override those interests. Ensuring warranties remain valid etc. GVG Brooks Equine uses the information collected from you to perform the contract we have entered into with you to provide you with the benefits of being a GVG Brooks Equine client. GVG Brooks Equine also acts on behalf of its clients in the capacity of data processor. When working exclusively as a data processor, GVG Brooks Equine will be acting on the instruction of its client and will work hard to ensure that the client is fully GDPR compliant. We may contact you by text message (SMS) or email in order to optimise your horse’s care – this may include vaccination, dental, worming and check-up reminders. If you have downloaded the Horse Dialog app, you have consented to us contacting you via the app, sending push notifications in connection with your horse’s care – to provide reminders on treatments, rehabilitation programmes and to notify you of practice news and offers. We may pass your contact details and your horse’s clinical history to a referral veterinary hospital if required to do so to provide veterinary services. We may pass your contact details and your horse’s clinical history to your insurance company should you submit a claim. By submitting a claim form you are providing your consent, in line with our obligations to ensure we perform our contract with you. We may pass your horse’s clinical history to a paraprofessional part of a multidisciplinary team involved in your horse’s care. This may include, but is not limited to: Farriers, Equine Dental Technicians (EDTs), Physiotherapists, Equine Osteopaths, Equine Chiropractors, Sport Massage Therapists. We provide a break down of these common methods on our registration form, and ask clients to specifically opt-in to each. We contacted our existing clients in May 2018 seeking their consent. You can withdraw consent at any time by contacting us by email at admin@gvgbrooksequine.co.uk, or in writing to the address listed in the final section of this document. Some personal data may be collected about you from the forms and surveys you complete, from records of our correspondence and phone calls and details of your visits to our website, including but not limited to personally identifying information like Internet Protocol (IP) addresses. GVG Brooks Equine will use such information to identify its visitors. GVG Brooks Equine may also collect statistics about the behavior of visitors to its website. Any information GVG Brooks Equine holds about you and your business encompasses all the details we hold about you and any transactions including any third-party information we have obtained about you from public sources and our own suppliers, such as credit processing agencies or references, provided by you in the course of your application. GVG Brooks Equine will only collect the information needed so that it can provide you with veterinary and prescription services. Legitimate interests pursued by GVG Brooks Equine and/or its clients. To promote the marketing and consulting services offered by GVG Brooks Equine and/or to market the services and/or products offered by GVG Brooks Equine’s existing clients. We aim to seek specific consent for the common methods we process clients data, as outlined above. By completing a registration form, or giving verbal or written consent for communication you are consenting to GVG Brooks Equine processing your personal data for the purposes outlined. There are some existing clients we have been unable to contact to gain specific consent. For those that have not responded to us, we will only use information as required to ensure we uphold our contract. You can withdraw or amend consent at any time by emailing admin@gvgbrooksequine.co.ukor writing to us. We may transfer your personal information outside the EU. For example, when exporting horses. “Third parties” includes third-party service providers (including contractors and designated agents) and other entities within our group. The following activities are carried out by third-party service providers: IT services, payment processing providers, market research, product fulfilment and data analytics. The activities for which we use third-party service providers may change from time to time in order for us to meet the needs of the business. GVG Brooks Equine will process personal data during the duration of any contract and will continue to store only the personal data needed for up to six years after the contract has expired to meet any legal obligations. 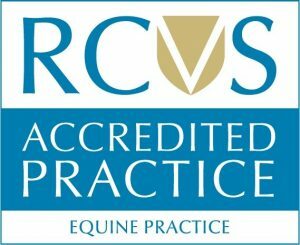 These obligations include our statutory obligation under the Royal College of Veterinary Surgeons (RCVS) code of practice. After six years, any personal data not needed, will be deleted. Data is held in the United Kingdom, using multiple secure servers. GVG Brooks Equine does not store personal data outside the EEA. If you want to review, verify, correct or request erasure of your personal information, object to the processing of your personal data, or request that we transfer a copy of your personal information to another party, please contact us by emailing admin@gvgbrooksequine.co.uk. In the limited circumstances where you may have provided your consent to the collection, processing and transfer of your personal information for a specific purpose, you have the right to withdraw your consent for that specific processing at any time. To withdraw your consent, please email admin@gvgbrooksequine.co.uk. Once we have received notification that you have withdrawn your consent, we will no longer process your information for the purpose or purposes you originally agreed to, unless we have another legitimate basis for doing so in law. Should you wish to raise a complaint regarding how we process your information, we ask you initially contact us in writing. This can be via email, admin@gvgbrooksequine.co.ukor at the postal address in the final section of this document. Our complaint policy is available at request from our office, or is available on our website at www.gvgbrooksequine.co.uk. Should you feel you have been treated unfairly, it may be appropriate to raise a concern to the Information Commissioner’s Office.